Lieutenant Commander John Woods wrote this description after climbing off a research plane in Greenland in late March 2011. 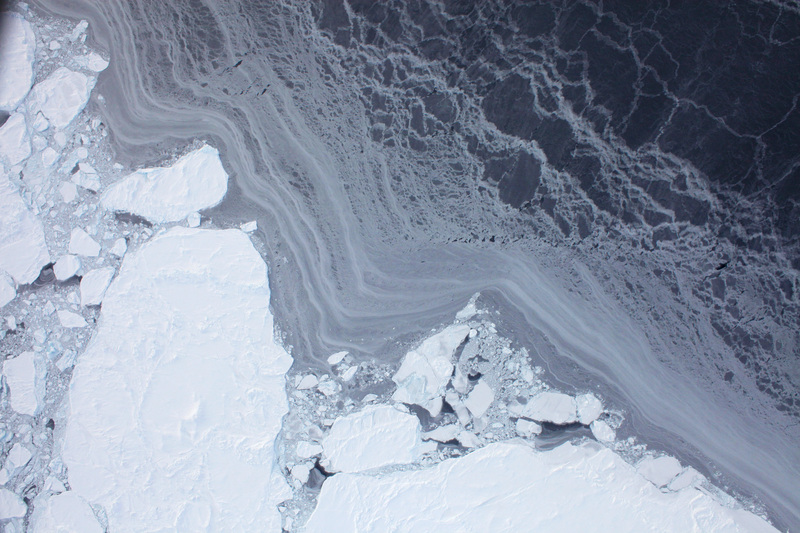 A professor in the Oceanography Department at the United States Naval Academy, Woods joined NASA’s Operation IceBridge Arctic 2011 campaign to measure the sea ice thickness in the rapidly changing Arctic. He and his student, Eric Brugler, blogged about their experiences on the Earth Observatory. These photos are an example of the type of observations that Woods and other members of the Sea Ice Thickness Observation Team are making. The photos were taken by the Digital Mapping System, (DMS) a high-resolution digital camera mounted on NASA’s P-3B Earth science aircraft. On March 26, the DMS took 14,092 images, including the two shown here, as the plane flew in a zig-zag pattern a mere 1,500 feet (457 meters) over the ice. 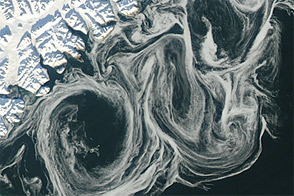 The images provide a detailed view of ice floes, separated by dark channels of open water (leads) or thin ice. The top image includes an area of open water or thin ice either near the edge of the ice cap or a polynya, an area of open water surrounded by ice. The ocean is black. Thinner ice is darker, semi-transparent. It lacks the coat of snow that brightens the thick ice. Layers of thin ice create the white stripes along the edge of the floe in the top image. 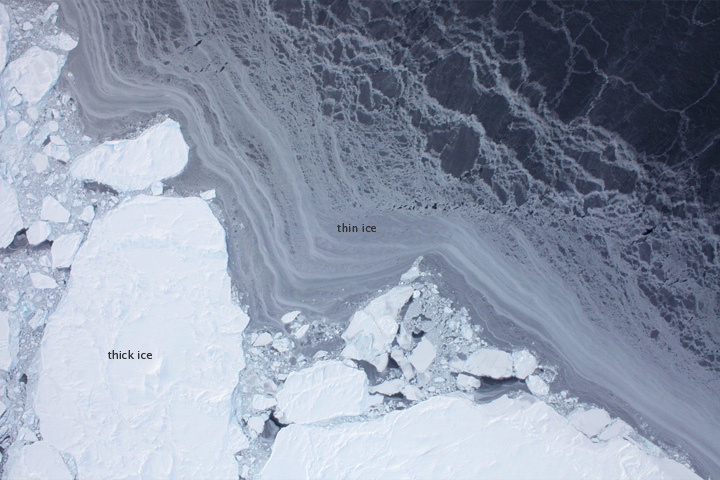 The thicker, probably older ice in both images is dark white, its surface textured by piles of drifting snow. In places, jumbles of ice pile up along the edges of the thick ice where two pieces have pushed together, a process called ridging. In other places, the edge of the ice is smooth, indicating a recent break. In these cases, the eye can assemble pieces of ice like a puzzle and infer how the ice has shifted. Such photos will help Woods and other scientists assess ice conditions. The photos will be compared to data from satellites and other instruments on board to help assess how well they are measuring the ice. 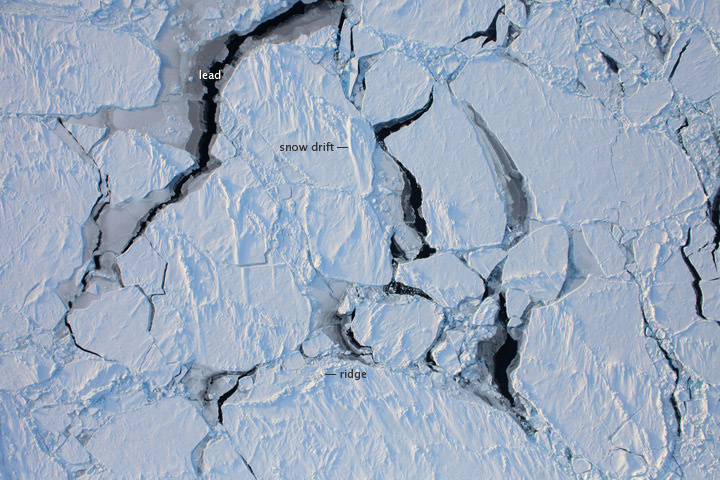 The extremely detailed view of the ice will go into a map showing the condition of the sea ice in early 2011. 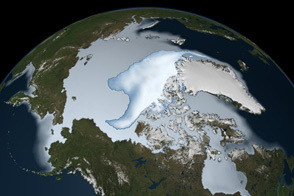 Warming temperatures have melted Arctic sea ice in the last decade. 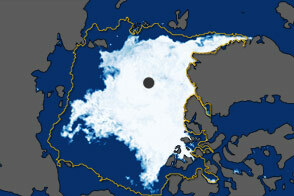 Because the dark ocean surface absorbs energy from the Sun while ice reflects energy, the loss of Arctic sea ice amplifies warming. ”With IceBridge, we will continue monitoring the loss of sea ice in the Arctic which will not only help us determine the health of the sea ice cover, but whether the impact of sea ice losses are further impacting warming in the Arctic region,” says Nathan Kurtz, a polar scientist at NASA Goddard Space Flight Center who has been using ICESat to monitor sea ice loss in the Arctic. To learn more about the goals of Project IceBridge, see Earth’s climate gets a checkup: Operation IceBridge takes to the skies to monitor changing Arctic, a video interview with Dr. Tom Wagner, a cryospheric scientist at NASA. NASA images courtesy the Digital Mapping System team, and Operation IceBridge Arctic 2011. Caption by Holli Riebeek. 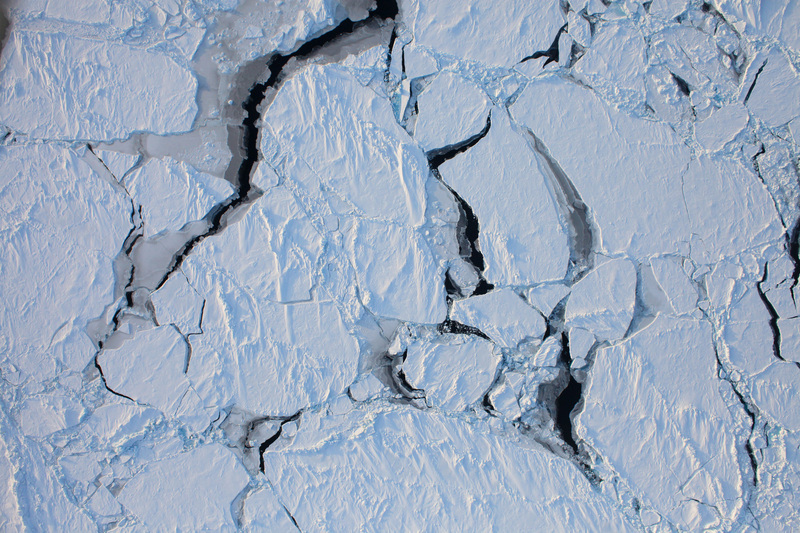 Taken from a low-flying airplane on March 26, 2011, these detailed photos of Arctic sea ice show the richly varied texture in the ice floe. Beck, J. (2011, March 29). Earth’s climate gets a checkup: Operation IceBridge takes to the skies to monitor changing Arctic. NASA Scientific Visualization Studio. Accessed March 31, 2011. Hansen, K. (2011, March 29). 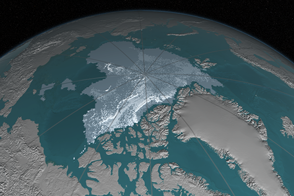 Arctic ice gets a check up. NASA IceBridge. Accessed March 30, 2011. Woods, J. and Brugler, E. (2011, March 25). Operation IceBridge: Arctic 2011. NASA’s Earth Observatory. Accessed March 30, 2011.